For the ones that looking for a quick answer, if you wish to do the journey between bologna to Ravenna by bus, it will take you approximately 1 hour and you can buy tickets via BusRadar for 8$ on average. By train: “Trenitalia” Railway Company offers a high-speed luxurious railway service between two places. It takes the cost of 4 Euros per head per journey. By cab or private car: The cost of hiring cab is comparatively expensive. you can read our article about rent car in Ravenna if you want to go in this direction. By bus: There are the bus services in intercity within one hour. It is very cheap at cost. It takes only 3 Euros from BOLOGNA- RAVENNA through shuttle service. This is our recommendation, Bus from Bologna to Ravenna is the way for tourist. By boat: The boat service is no longer running between these cities. Only from RAVENNA, there is a direct boat service to Venice. When you arrived in Bologna, you will feel like never living in the city again. Bologna has some of the most amazing places and restaurants in Italy. You will never run out of what to do once you found yourself in this beautiful city. After visiting Bologna, the next stop should be Ravenna. So if you ask yourself why should I take a bus from Bologna to Ravenna and vice verse (why you should take a bus from Ravenna to Bologna) we want to help you and show you the advantages of this trip. However, don’t leave Bologna yet until you have time to explore its beauty. Do not leave Bologna without taking time to explore the lovely Portico di San Luca. This place is located on your route from Bologna to Ravenna and if you are traveling on a bus, you will have an opportunity to either stop and explore it before continuing your journey or simply take in the amazing sights. This place is one of the most unique and interesting structures in the area and it definitely worth a visit; you will bypass it if you are traveling on a train. When you are done with Bologna, hop on a bus to Ravenna; Ravenna has some of the best tourists’ sites in Italy. Fortunately, both cities are separated by just a distance of 50 miles. Getting to Ravenna from Bologna is easy and one of the most convenient and fun ways to do it is by taking a bus. Ideally, most tourists will like to hop on the first train they see in Central Station to Ravenna. This will take you an hour to reach Ravenna but you will miss out on the beauty to be seen by the roadsides. If you are in Italy to explore its beauty, you should consider using a bus to Ravenna. This way, you will get to see some of the most amazing places that are located in-between Bologna and Ravenna. We will discuss these amazing places you can see in a bit. There are many reasons why taking the bus from Bologna to Ravenna is the best; you won’t have to wait just like you would do when you travel by train. You can book anytime and have your bus available. If you are in hurry or you want to see a lot of amazing sites on your way to Ravenna, taking shuttle bus is definitely the best way to go about it. You can book for shuttle buses from Bologna to Ravenna online. One of the favorite shuttle bus services which you can use is the Kiwitaxi. They have convenient shuttle buses from Bologna to Ravenna. You will feel like you are in your own sitting room when you are in these buses and the best part is that you will have an opportunity to be exploring the world outside while you are heading to Ravenna. Ideally, from Bologna to Ravenna by bus is 94 kilometers and this drive will take around 60 minutes or thereabouts. If you decide to stop on the road to explore the sites in-between Bologna and Ravenna, your journey will be longer but it definitely worth it. When you are traveling in the company of your relatives or friends and you have about a total of 3 persons, you can book a bus for as low as €142. 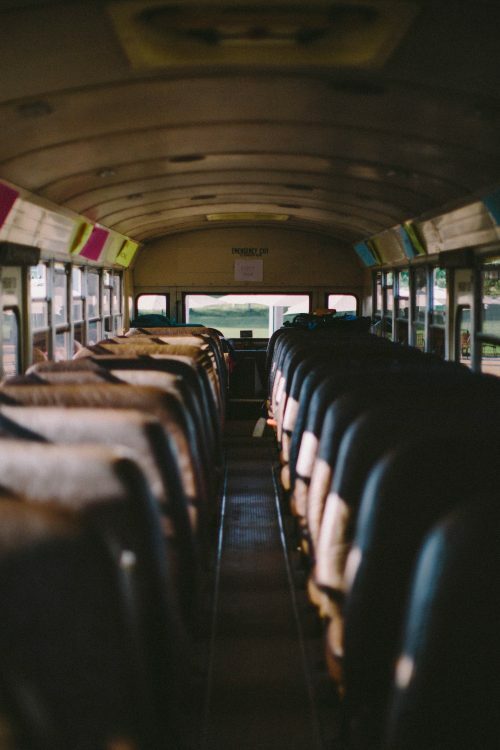 If you are more than 3, let’s say you have 7 people in your party, it is recommended that you book a Minivan; this is the best way to enjoy the bus ride from Bologna to Ravenna with your party. When you choose a good taxi/bus company that covers this route, you will be able to choose between different buses for your convenience. Some of the buses you can use include Mercedes, Iveco, KLQ 6826, Volvo B9R, and Ford Transit. No need to worry about the heat or cold, most of the company that offers shuttle bus transit from Bologna to Ravenna have buses with heating and cooling system including shutters on the windows and armrests. Now you are in Ravenna, don’t forget that this is one of the most beautiful places you can see in Italy. So prepare yourself for surprises and of course, entertained. Ravenna has some of the best Italian Restaurants to enjoy Italian cuisines. The first thing you will see as your bus approaches Ravenna from the Bologna direction is the Mausoleum of Theodoric by your left. This place is a cylindrical white tomb and an amazing sight to behold. Depending on where the bus will drop you, you can reach the tourist information office on feet. It is a few minutes away from the train station. Now you are in Ravenna, you can get to your location simply by taking city buses which are run by ATM. In most cases, tickets cost around €1 and remain valid for one hour. If you visit the tourist information office, you can borrow a bicycle free of charge. Most Ravenna locals travel by bicycle. Thus, you can mingle easily when you get your own bicycle from the tourist information office. Bologna and Ravenna are two of the most amazing places to see in Italy. Don’t conclude your tour of Italy without seeing both locations. BOLOGNA is famous not only for its superstructures, but also World’s No 1 sports car company FERRARI workshop has been constructed here with a museum. Moreover, there are many delicious Italian restaurants and cafes. The road trip bologna to Ravenna or vice versa is exciting. You can find several places does your self-holistic mind. In this part, we are discussing the whole thing in details. Accordingly, BOLOGNA is a city which is full of various kind of museums, Art galleries, Food Markets and moreover Spas. The names of the Art museums are “PALAZZO COMUNALE”, “PINACOTECA NAZIONALE DI BOLOGNA”, “MUSEO DI PALAZZO POGGI” and “COLLEZIONI COMMUNALI D’ARTE”. The names of the special museums are “MUSEO DI ZOOLOGIA”, “MUSEO DELLA RESISTENZA” and “MUSEO DI MINERLOGIA”. All the museums contain the ancient paintings of famous Italian artists, writing of the famous Italian writer. Moreover, after seeing all the museums and art galleries, it clears the generosity of ancient peoples. Not only this, but also “the museum of zoology” in particular type is not just a museum, but also it is well known for the zoological research center. The “LA MACHINE DEL TEMPO” is one kind of museum full of technical updates. Here one can see the 3D video by a little cost. Now a day the VR (VIRTUAL REALITY) control travel is available. It is so attractive for technology lover peoples! 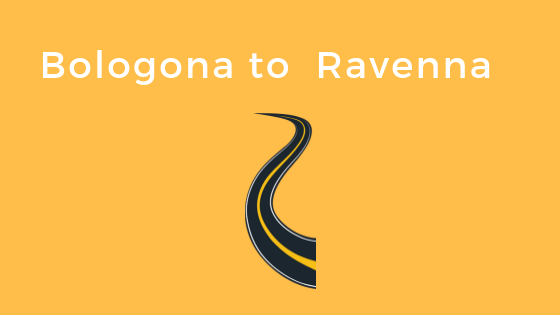 BEST ROUTE TO TRAVEL FROM BOLOGNA TO RAVENNA: The transport route through by cab or car is a direct road of A14 which takes about 1 hour and 30 minutes. So according to comfort and easy journey route, it is the best route for travel. We highly recommand to take the bus from Bologona to Ravenna, specaily if you are not with car while you are traveling.